Sharma S, Adams JP, Schuler JL, Ficklin RL, Bragg DC (2016). Effect of seedling stock on the early stand development and physiology of improved loblolly pine (Pinus taeda L.) seedlings. iForest 9: 690-695. This study assessed the effects of spacing and genotype on the growth and physiology of improved loblolly pine (Pinus taeda L.) seedlings from three distinct genotypes planted in Drew County, Arkansas (USA). Genotype had a significant effect on survival and height. Clone CF Var 1 showed greater height and survival compared to other seedlings. Genotype had significant effects on uniformity in height both years and ground line diameter (GLD) first year. However, genotype had no significant effects on leaf water potential and coefficient variation of leaf water potential. These growth and physiology should be further studied to assess potential genetic differences among seedlings and to determine if they can be identified early for improved growth at later ages. AFC Seedlings. Arkansas Forestry Commission, Little Rock, AR, USA. Leaf area and above- and belowground growth responses of loblolly pine to nutrient and water additions. Forest Science 44: 317-328. Genetic effects on transpiration, canopy conductance, stomatal sensitivity to vapour pressure deficit, and cavitation resistance in loblolly pine. Ecohydrology 4: 168-182. Genetic effects on stand-level uniformity and above-and belowground dry mass production in juvenile loblolly pine. Forest Ecology and Management 262: 609-619. Carbon sequestration from 40 years of planting genetically improved loblolly pine across the southeast United States. Forest Science 58 (5): 446-456. Producing southern pine seedlings in containers. General Technical Report no. SO-59, Southern Forest Experiment Station, USDA Forest Service, New Orleans, LA, USA, pp. 71. Stock type affects performance of shortleaf pine planted in the Ouachita Mountains through 10 years. General Technical Report no. SRS-71, Southern Research Station, USDA Forest Service, Asheville, NC, USA, pp. 420-422. Broad implications of southern United States pine clonal forestry on planning and management of forests. International Forestry Review 11: 331-345. Plant breeding for water-limited environments. Springer, New York, NY, USA, pp. 14. Response of planted longleaf pine bare-root and container stock to site preparation and release: fifth-year results. General Technical Report SO no.110, Southern Forest Experiment Station, USDA Forest Service, Asheville, NC, USA, pp. 165-168. Successful reforestation of South Carolina sandhills is not influenced by seedling inoculation with Pisolithus tinctorius in the nursery. Southern Journal of Applied Forestry 23: 46-52. The development of pine plantation silviculture in the southern United States. Journal of Forestry 105: 337-347. Sustained productivity in intensively managed forest plantations. Forest Ecology and Management 138: 187-202. Survival and growth of container and bareroot shortleaf pine seedlings in Missouri. In: Proceedings of the “2006 National Meeting of the Forest and Conservation Nursery Associations” (Riley, LE, Dumroese RK, Landis TD eds). Proc. RMRS-P-43, Rocky Mountain Research Station, USDA Forest Service, Fort Collins, CO, USA, pp. 123-126. Predicted genetic gains from one generation of slash pine tree improvement. Southern Journal of Applied Forestry 13: 51-56. Genetic gains of full-sib families from disconnected diallels in loblolly pine. Silvae Genetica 53: 60-64. Soil survey of Drew County, Arkansas. USDA Soil Conservation Service and the Arkansas Agricultural Experiment Station, AR, USA, pp. 86. Tree improvement and sustainable forestry-impact of two cycles of loblolly pine breeding in the USA. Forest Genetics 6: 229-234. Ideotype development in southern pines: rationale and strategies for overcoming scale-related obstacles. Forest Science 47: 21-28. Performance of improved genotypes of loblolly pine across different soils, climates, and silvicultural inputs. Forest Ecology and Management 227: 178-184. Sustained productivity of forests is a continuing challenge to soil science. Soil Science Society of America Journal 60: 1629-1642. 1981-2010 climate normal for Monticello, Arkansas. National Weather Service Forecast Office, Little Rock, AR, USA. Conifer trees classified by stress categories. PMS Instrument Company, Albany, OR, USA, pp. 1. 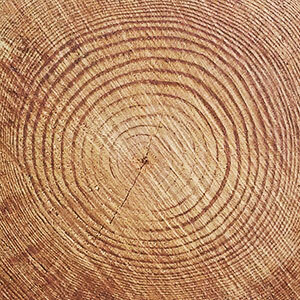 Southern forest resource assessment highlights: the Southern timber market to 2040. Journal of Forestry 100: 16-22. Influence of differences in planting stock size on early height growth of Sitka spruce. Forestry 66: 83-96. Cultural intensity and planting density effects on aboveground biomass of 12-year-old Loblolly pine trees in the upper coastal plain and piedmont of the southeastern United States. Forest Ecology and Management 267: 157-162. Costs and benefits of a mature first-generation loblolly pine tree improvement program. Journal of Forestry 83: 162-166. Effects of cultural intensity and planting density on stand-level abovegroung biomass production and allocation for 12-year-old Loblolly pine plantations in the upper coastal plain and piedmont of the southern United States. Canadian Journal of Forest Research 42 (1): 111-122.